Psyonix will be updating its ever popular rocket car soccer game (yes, this is a thing, don’t @ me) Rocket League on the Xbox One, they announced on today’s Inside Xbox episode, which you can see below. The new update will add Xbox One X enhancements to the ever popular game, which is excellent news. That said, we don’t know what the enhancements will be, and we also don’t know exactly when the update will be out- only that it will be out later this year. For Xbox One Rocket League players who like to play with their Switch owning friends, there’s more good news. Rocket League on Xbox One will also be updated to support cross platform parties with the Switch version of the game (and the other way round as well). This means you can finally play in parties with your Switch friends (and presumably voice chat with them as well). 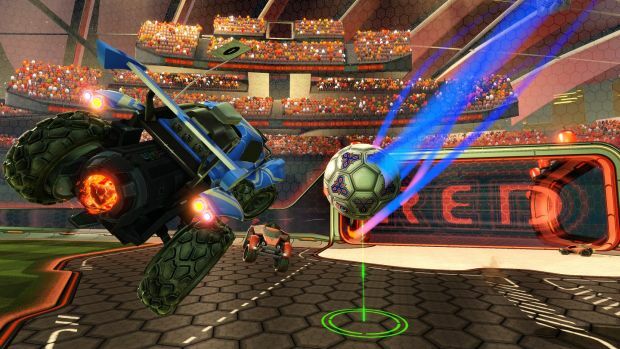 So far, Rocket League‘s cross platform implementation has been restricted only to random matchups. Rocket League is available now on Xbox One, PS4, Nintendo Switch, and PC.